Situated in the southwest part of London in the borough of Richmond upon Thames, Richmond is one of the hidden gems of London suburbia. The town was initially named after Richmond Palace, a former royal residence built by Henry VII in 1501. Although the palace no longer exists, the town of Richmond itself has continued to thrive and is now one of the most affluent areas in Greater London. 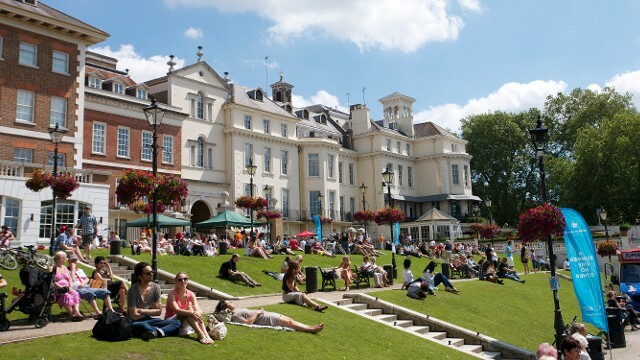 If you have a few hours to spend in Richmond, then perhaps the place to start is the Richmond riverside. This is a gorgeous stretch of the Thames, which is flanked on the Richmond side by a number of excellent riverside inns and eateries. Verdant lawns lead down to a wide path that runs along the side of the river, and are a favorite place in the summer for visitors and residents to take in the sun. It’s also worthwhile taking a short stroll to look at Richmond Bridge – this is a Grade 1 listed stone arch bridge that was built in the 18th century, making it older than any of the other bridges that currently cross the Thames. As you head back up into the town, your next stop is Richmond Green. The green has existed for over 400 yearsand was originally attached to Richmond Palace. If you are there at the right time of year, you can see one of two local cricket teams playing on the green – creating a village atmosphere in suburban London. Also be sure to stop in at the Cricketers– this is a very enjoyable pub situated on the green that is a favorite with the locals. If you have a little more time, take a walk up Richmond Hill – this rises up from the river, and offers spectacular views over the river as you ascend – exactly the sort of thing you would expect to show up inRoyal Holiday Facebook photos. The houses at the top of the hill have been home to some of England’s best-known residents – for example, Downe House was the longtime residence of Mick Jagger and Jerry Hall. Another must-see attraction in the area is Richmond Park – don’t confuse this with the Old Deer Park, which is now home to the Royal Mid-Surrey Golf Club. 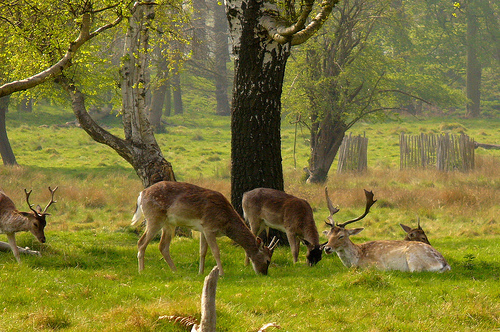 Richmond Park, on the other hand, is a Royal Park, and in fact is the largest one in London. This is also one of England’s National Nature Reserves, and features a wide variety of local wildlife. The park dates back to 1625, when Charles I came to Richmond to escape the plague that was rampant in the city at the time. He set asidethe park for hunting, and it has been home to both fallow deer and red deer ever since. Interestingly, although the park was created in 1625, it was originally called the New Park to distinguish it from the existing Old Deer Park. The park is open to the publicand is a pleasant place to spend an afternoon walking or cycling.